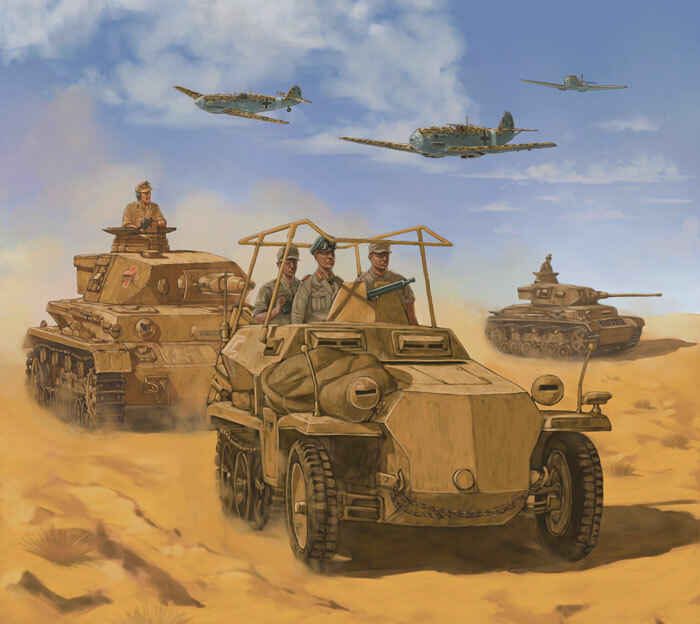 Allied players will have acess to Tobruk themed fortifications while the Axis players will be lead buy the Desert Fox himself in his captured Stuart. Time to get your fellow tank players together and find out who will win at the Siege of Tobruk. Rommel lets you re-roll a single die each turn, choosing what dice to re-roll can be tricky as he can roll any one die rolled by his platoon or the opponent's platoon.